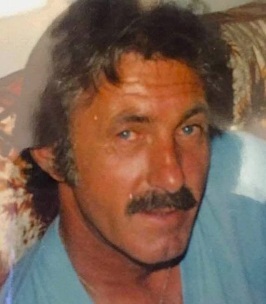 On September 7, 2018, Rex Decker of St. Albert, Alberta, passed away at the age of 80 years. Rex is survived by his loving wife, Eunice; faithful children, Brent (best friend, Lesley) and Kim (son-in-law, Dwayne). Rex is also survived by five grandsons: Dustin, Cody (Suzanne), Brett (Whitney), Dylan (Taylor), and Jordan (Tahnee); six great-grandchildren, Misha, Avery, Logan, Charlie, Emmett and Austin, whom Rex adored with all his heart; respected brothers, Graham and John; and sisters, Linda and Patsy. Rex was predeceased by his parents, Ralph and Ida of Newfoundland; and siblings, Betty, Stella, Doug and Bruce. Funeral Service Friday, September 21 at 11:00 a.m. at Park Memorial Chapel, 9709 - 111 Avenue, Edmonton. In lieu of other tributes, donations may be made directly to www.diabetes.ca. Our thoughts and prayers are with Uncle Rex’s family. May your memories ease the sadness you are feeling today.